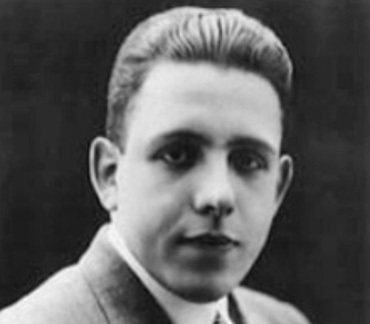 Largely self-educated musically, Francis Poulenc studied with the pianist Ricardo Viñes, who became his mentor after the composer’s parents died. He soon came under the influence of Erik Satie, under whose tutelage he became one of a group of young composers known collectively as Les Six. 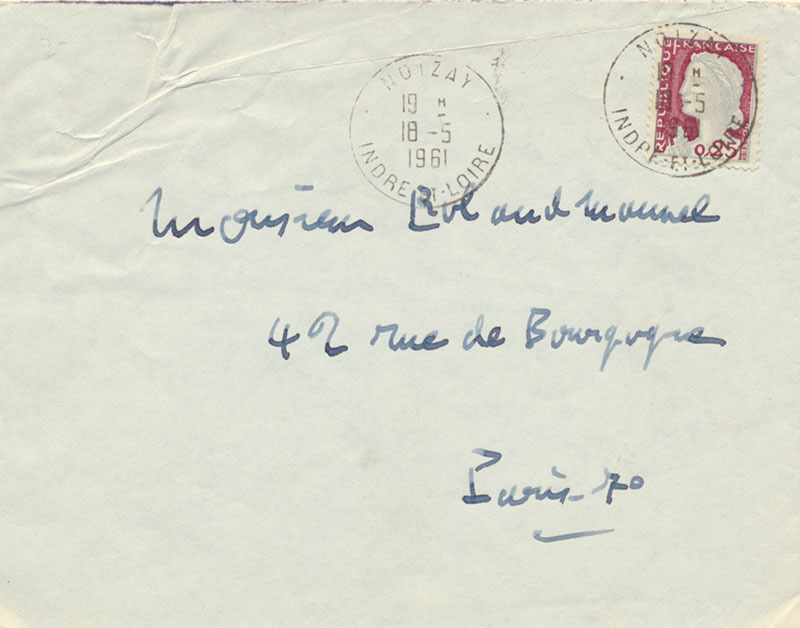 In his early works Poulenc became known for his high spirits and irreverence. During the 1930s a much more serious side to his nature emerged, particularly in the religious music he composed from 1936 onwards, which he alternated with his more light-hearted works. In addition to composing, Poulenc was an accomplished pianist. Pianist und Komponist (1899–1963). Eigenh. Bildpostkarte mit U. [Mailand. 1 S. (Qu.-)8vo. Mit eh. Adr. Francis Poulenc (1899–1963), Pianist und Komponist. Eigenh. 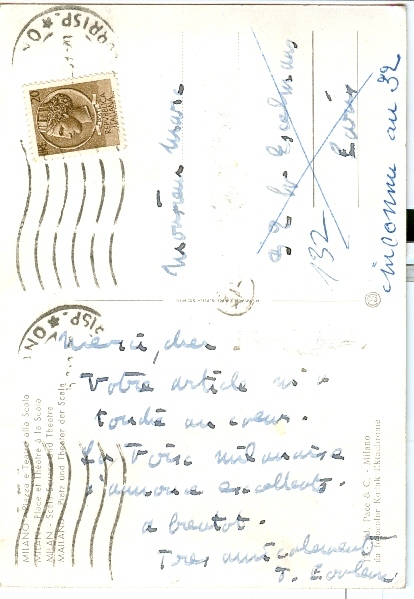 Bildpostkarte mit U. 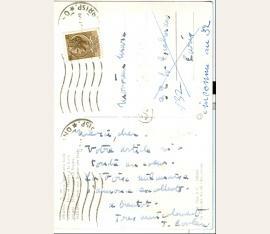 [Mailand, um 1955–60]. 1 S. (Qu.-)8°. Mit eh. Adr. – An einen Monsieur Marc mit Dank für „votre article [...]“. – Die Bildseite mit einer Ansicht der Scala, für die Poulenc im Auftrag des Verlegers Ricordi die Oper „Les Dialogues des Carmélites“ (1957) komponiert hatte, die zu seiner bekanntesten Oper werden sollte. – Der Nachname des Adressaten alt ausgeschabt. frz. Komponist (1899-1963). Eigenh. Brief m. U. Noizay. 8vo. 1 p. Mit eigenh. adress. Umschlag. Pianist und Komponist (1899-1963). "Emmanuel Chabrier". 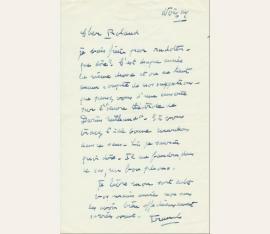 Autograph manuscript, signed twice. O. O. Titel, 23 num. SS. auf 23 Bll., Zwischentitel, num. SS. 24 bis 78 auf 55 Bll. Blaue Tinte auf einseitig beschriebenem karierten Papier, mit zahlreichen eh. Korrekturen in schwarzem Kugelschreiber, sowie weiteren Korrekturen in Bleistift, die offensichtlic. 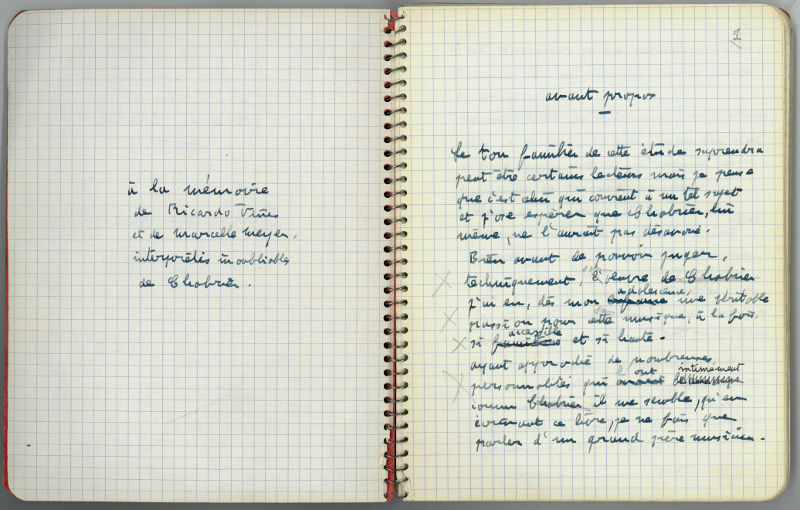 One of only a few literary manuscripts by the eminent French composer, extremely rare in trade. 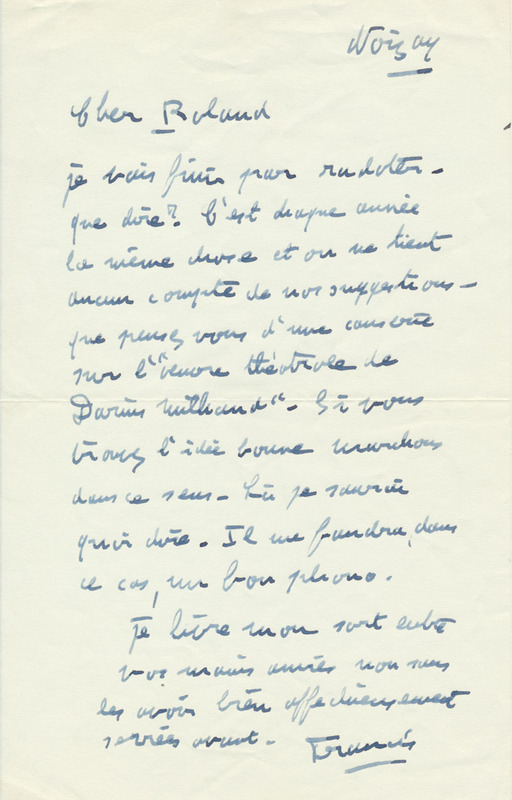 In this paper, which appeared in 1961 at La Palatine publishers, Paris-Genève, Poulenc compresses, as he writes in the preface, "une véritable passion" that he felt from adolescence onwards for Chabrier's music, into a memorial full of warmth, enthusiasm, and linguistic beauty. 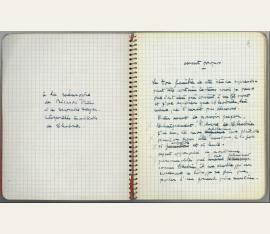 - The present ms. comprises the preface, the introduction "Portrait de Chabrier", and Chapters I and II (cf. pp. 1-78 in the printed version); Chapters III and IV (in the book pp. 80-119) might have filled another, clearly thinner quarto issue, the whereabouts of which are unknown today and are not established by MGG or New Grove..